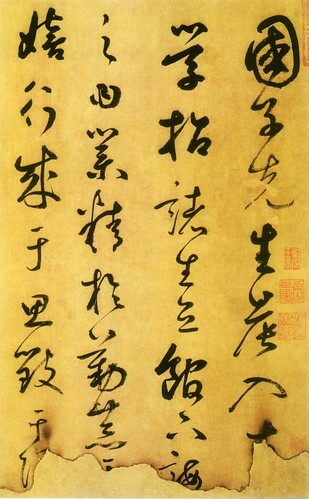 Xianyu Shu (鮮於樞, ca.1257–1302) was a poet, calligrapher, collector and connoisseur of the Yuan Dynasty. 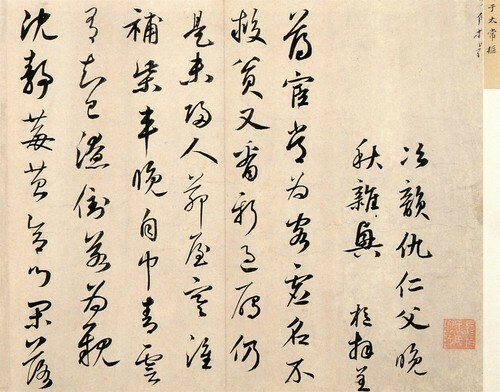 His courtesy name was Boji (伯機) and pseudonym Kunxue Shanmin (困學山民). 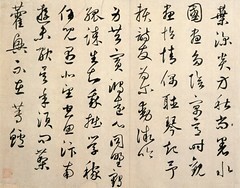 Xianyu was probably the closest friend of Zhao Mengfu (趙孟頫). 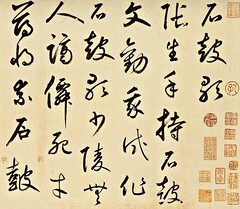 They exchanged poems and letters, wrote postscripts to paintings and calligraphies, and discussed artworks together. 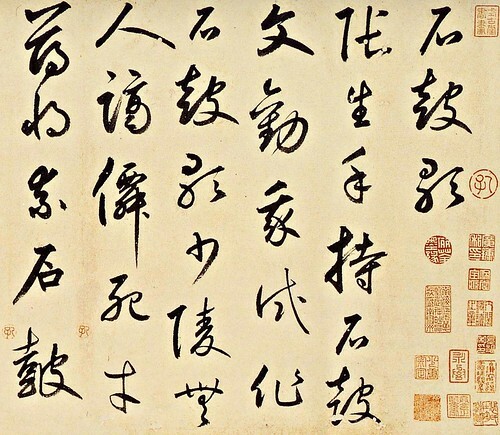 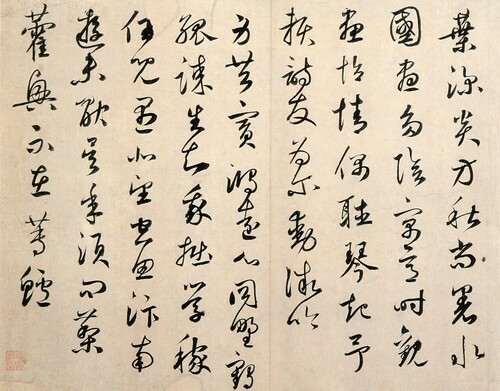 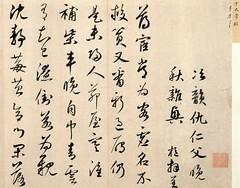 Zhao composed a long poem five years after Xianyu’s death, which recollected their friendship.